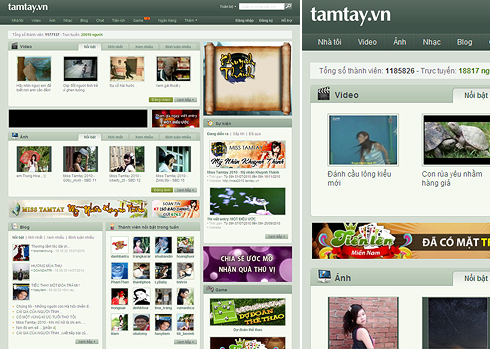 Founded in 2008, TamTay is the leading social networking site for the Vietnamese youth demographic, with over 1.1 million registered users. The site provides both content-storage services (documents, audio, video, photo) and social networking services (user profiles, blogs, events, groups, content sharing). TamTay also offers services for mobile platforms, including instant messaging (TamTay Chat), photo upload (T-shout) and status updates (Chem Gio).TamTay is led by a mix of people with diversified backgrounds. Its founder and CEO, Son Tran, is a seasoned entrepreneur with 15 years of experience in the US and Vietnam in business computing systems and management.